Arthur's Seat is the peak in the middle of the shot, seen from the eastern end of the city centre, close to Regent Gardens and Calton Hill before my climb. Any guide to things to see and do in Edinburgh has climbing Arthur's Seat somewhere near the top of the list, but not many of them tell you *how* to go about doing it - at least, not in a way that a climbing layperson with zero knowledge or experience of Edinburgh's geography will understand. Enter Laura; no climbing experience, fresh off the boat train from London, and on a mission. Squint really hard and you'll see little ant people at the top of the peak. Less than an hour later, I was up there. Arthur's Seat is the peak of a hill just outside Edinburgh. It lingers in the background of photos of the city skyline, and is located close to the city centre in Holyrood, so attracts plenty of tourists wanting to give it a climb. Like much of Edinburgh, it's actually a dormant volcano, and is 822ft high - a baby compared to Everest's 29,000-odd ft, but high enough for a 5ft-nothing girl who gets puffed out climbing three flights of office stairs on a daily basis. If I was into cliches, I'd say Arthur's Seat was my Everest. But I won't. Moving on. Following the path, it's hard to get lost. How do I climb Arthur's Seat? This was the bit that stumped me. I did some research before I went to Edinburgh, and knew that in July, I'd be fine in walking shoes. But the route was a different matter. Plenty of websites and walking guides tell you which route to take, but some require you to be a more experienced climber, and none of the routes really make sense on paper - you have to be there following them. Grid references and terrain ratings were mentioned - and quickly ignored by me. Buoyed by the fact that I'd made it to Edinburgh and checked into my hotel alone successfully, I decided that anything was possible, so opted to figure it out as I went. What's the worst that could happen, right? I've written this guide in the hope that it'll help someone else like me - complete novice climber, no idea what those walking guides are on about or how to use a grid reference, just want a decent view, a selfie or two, and a chance to boast that I've climbed a volcano, solo. The view from partway up those stone steps. The tarmac you see in the middle of the shot is route option 1, below. 3. There was another route which many people from the car park were following. From that ice cream van at the bottom, a steeper path cuts right across the rock face, taking you across another hill, which you then descend before getting to the bottom of the 'proper climb' You're going up to go down to go up - sounds like hard work to me. Once you've reached the 'proper climb' bit I've mentioned above, things get serious. The route from here is a combination of stone steps - some steep, some narrow, some winding - gravel footpath and muddy track. But, importantly, it's easy to follow without getting lost. Most of it is wide enough to pass walkers in the opposite direction, but a lot of it runs alongside steep, unguarded drops so take care. Just when you're panting so hard you've forgotten what oxygen feels like, the ground flattens out, and you'll feel like you've made it. The views here are incredible - you're practically at the top - and it's quite an achievement. Completists like me will realise that the actual peak still lingers over you. Reaching it involved what I can only describe as the rock climbing equivalent of shimmying up a drainpipe (not the technical term) in a narrow, vertical gully between two rock faces. It was a bit terrifying, but it's clearly a well-worn route with plenty of other people going about it. Once you've hauled yourself up there, you're at the peak - views, obelisks and dozens of other tourists taking photos. The whole thing took me about two hours, including getting up, getting down, and sitting down to eat a strawberry tart at the top (#AlwaysOnBrand with a cake in my bag - in this case, one I'd picked up in a patisserie in town in a bid to bribe myself to the top). That said, I was walking up with some gusto in typical Laura fashion, I had so much I wanted to see and do in my limited time in Edinburgh that I didn't want to miss anything. A more gentle incline would take a while longer. Dress appropriately, obvs. This is no flip flops and summer dress situation. In July, I wore comfy long shorts, a t-shirt and walking shoes. No need for super-technical walking boots or hiking poles or any of that nonsense. It gets extremely windy up at the top. If you're anything like me, you'll be sweating by the time you reach the summit (again - this was a balmy July afternoon) so it won't necessarily be cold but loose items will blow away. Even taking photos was tricky, as my phone kept getting blown straight into my face. You're damn right I carried a cake all the way up there, and you're damn right I sat and ate it at the top. Pick your time of year. I hear they're partial to a snowflake or two in Scotland in winter, which is not conducive to climbing a volcano. Take a camera/phone and don't wait until the top to take photos - all the way up the route, there are some great photo opportunities as the minutae of Edinburgh fades into the background and the coast, the Forth Bridge and beyond dominate the view. Enjoy it. I was so proud of myself - I'd climbed a volcano, solo! - that the endorphins carried me for days. If you're looking for a budget hotel in Edinburgh, check out my review of Hub by Premier Inn. At the weekend, I went to Virginia Water, a large lake and country park on the Surrey-Berkshire border to meet a friend (and her dog). We had lovely weather, considering it's October - beautiful sun and cloudless blue skies, which set the autumn hues and fiery leaves off beautifully. Naturally, I took my camera, and wanted to share a few shots I took between throwing sticks into the lake for the furry one to retrieve. The swans' necks were forming a perfect heart. Of course, they moved just as I hit the shutter. This waterfall reminded me of being in the Lake District this time last year. No idea whose dog this is, but he's pretty photogenic, huh? I'll admit, inner city Premier Inns aren't usually the fodder of travel blogs, their writers usually tending more towards the boutique hotel end of the market (a girl can dream, hey? ), but I'm sharing my recent* experience of the Hub by Premier Inn at Edinburgh Haymarket because a) it's something I genuinely think is good and more people should know about, and b) I wish a blog post like this had been out there for me to read before I booked. (*I say 'recent' - I stayed there in late July and I'm writing this in October. C'est la vie). First of all - meet Hub by Premier Inn. It's a new spin-off hotel chain by Premier Inn, located in city centres and aimed more at budget travellers and those for whom a large room is not a priority. The rooms are notably compact, but the low cost and central location are the benefits. I was vaguely aware of Hub by Premier Inn when I booked my long-planned solo trip to Edinburgh. A friend who stays in London on a regular basis had recommended the Liverpool Street one, and while I didn't set out to book this particular hotel, it was one of the cheaper options available for my travel dates that didn't look like a complete dive, so I booked myself in. I had a couple of minor concerns before my stay - at such a low cost, I worried that corners would be cut, specifically, whether bath towels and a hairdryer would be provided in the room. I intended to ring and check before my trip, but never got round to it. No need to worry - both were provided. A couple of days before my arrival, I was sent an email allowing me to check in online. The process was very simple, but would probably be even more handy for international visitors who can provide their passport details in advance, saving time when they physically arrive at the hotel. I then received a text message from the hotel as I whizzed through northern England on a train en-route to Edinburgh, providing me with a reference number. I was a bit nervous about the arrival, as I'd read elsewhere that the check-in is on automated machines, rather than a manned reception desk. Technology and I don't have a great track record, and I had visions of not being able to access my room and being forced to sleep on Edinburgh's streets. Again, my fears were unfounded. Three touch screen check-in machines were waiting for me in the hotel reception, but so too was a friendly member of staff who was only too happy to help. It took just a couple of minutes before I had my keycard in hand and directions to my fourth floor room. Both the hallway where the lift is located and the lift itself require keycard access meaning only guests of the hotel can get in - something of a reassurance as a lone female traveller. The room itself was a lot sleeker than I expected. The cabin-style double bed was very comfy, although having two people sharing may cause problems, as one would have to climb over the other to get out. Storage comes in the form of a hidey hole under the bed, and a small clothes rail, big enough to hang five or so items. A chair sits next to the floor-ceiling window, and the shelf at the end of the bed extends out to create a writing desk - a bonus I didn't expect for the price. The bathroom is petite but more than adequate, with a choice of two showers in the glass cubicle - a removable, hosepipe shower head or a fixed, large shower head. Both are very powerful but you can't have both running at the same time - believe me, I tried. Again, if you were travelling in a pair, privacy may be an issue, as the windows and door of the bathroom are (partially frosted) glass. Technology is king in the rooms themselves too. The heating, air con and lights are all controlled by a touch panel by the head of the bed, as is the do not disturb sign - simply press a button by the bed and a light goes on outside your door. The entertainment choice is impressive too - as well as regular TV channels, the flatscreen offers a decent choice of on-demand films and TV shows. After a full day exploring every day, it was rather luxurious to come back to a soft bed and on-demand films to watch while my feet recovered from all the walking. Downstairs in the hotel, there's a bar and restaurant open all day, and a tea and coffee table which guests can help themselves to free of charge at any time, plus plenty of water available. Being out and about all day every day, I didn't get a chance to try the restaurant or bar (plus, I would have felt like a bit of a lemon sitting here alone). That said, there was a friendly atmosphere every time I walked through, so if you were a lone traveller looking to meet people, you wouldn't have too much of a problem. Location-wise, the hotel is spot on. It's just a five minute walk from the western end of Princes Street, one of Edinburgh's main tourist roads. The castle is a 15 minute walk away, and Edinburgh Haymarket station is 5 minutes out of town, while Waverley is a 15-20 walk back into town. Once I stepped off my train from London, I didn't need to use any other public transport until I was heading back to London three days later. In short, if you're looking for a budget hotel, particularly for a city break, where you don't need that much space and will be out of the room most of the day, I can't recommend Hub by Premier Inn highly enough. The rooms are very comfortable, helped along by soft beds, adjustable heating/air con, and lovely powerful showers. Location is excellent for sightseeing, and the TV entertainment system has plenty to keep you busy if you're staying in the hotel - and all for a really great price. If you're travelling in a couple, I'd think carefully about the layout of the bed and that glass bathroom before booking. Hub by Premier Inn Edinburgh Haymarket. I stayed 28-31 July 2018 and paid £135.50 for a three night stay. At time of writing, there are 10 Hub by Premier Inn hotels dotted across London and Edinburgh, but I'm really hoping they open more in other UK cities soon - it would certainly help me continue visiting a new place every month into 2019. Disclaimer: I paid for the stay myself, and Hub by Premier Inn had no idea I would be writing this blog post - it is no way affiliated with the company. What if the only people influencers are influencing is each other? I have a blog, but I no longer consider myself a blogger - or rather, I don't like to admit to being a blogger. 'Blogging', it seems, has become a bit of a byword for 'blagging', and that's not OK. It's shocking how many people start a blog purely for the 'freebies' they think they'll be reeling in. I digress a bit - this isn't the main point of this post, so don't leave just yet - but working as a journalist in my day job, I've lost count of the number of PRs who tell me they dread working with bloggers due to the demanding and diva-ish reputation they've earned. In 9 years of blogging, I've only ever had one 'freebie', back in the days when I didn't really understand how the PR/journo business worked - the blogger business wasn't even a thing back then. And I'm OK with that. It's not why I got into blogging. My blog isn't 'commercial' enough for PRs and that's OK too - I'd be worried if it was, although that's only something I've come to realise recently. There are a few bloggers who I admire - particularly Emily Clarkson and Hannah Gale for their honest, witty and humorous writing, and for keeping it real. If we're talking vloggers, Louise Pentland has to be top of the list. I still miss updates from Gem Fatale, and I'm sure there were a few other old-school blogs that have fallen by the wayside. But bloggers like these are few and far between these days. Scrolling through Instagram - because heaven forbid you call yourself a blogger in 2018 if you don't have plates spinning on Twitter, Facebook, Instagram, Pinterest and YouTube as well as, y'know, your actual blog - you can spot an 'influencer' a mile off. Many (not all) have the same identikit photos; seated in a beautiful coffee shop, staring wistfully into the middle distance as they cup their skinny latte, or dressed up to the nines, against a psychedelic street art background, that same unnaturally wistful look on their faces. I've shared my thoughts on Instagram before. Occasionally, someone stands out -- Hello Miss Jordan, for example. She has a unique style, and whether it's something you like or not, it's something she does very well. But again, influencers as talented as her are few and far between. The irony is, the only people these 'influencers' seem to be influencing are each other. Because really, have you ever seen someone who didn't consider themselves an 'influencer' getting dressed up in a wholly impractical outfit to pose for hundreds of different photos in front of a pretty wall? No. A normal person might stumble across the wall, take a photo, and go about their day. Yet all it takes is one influencer with a decent-sized following to discover a new gram-worthy *eyeroll* cafe, and you can guarantee hundreds of bloggers and Instagrammers will have visited before the week is out. And that's before you stumble across all the comments reading "Where did you get that dress/table/mug? Need to get me one for my photos too". There's a fine line between being inspired by someone else's photos, and completely ripping them off. Following the Instagram flock isn't something I'm completely innocent of myself - minus the hundreds of poses because that's just not me. I've visited those flowery cafes (for my day job, and out of curiosity), and I've taken those flatlay photos. Actually, I won't lie, I still have a weakness for a flatlay done well. Why? Because I felt I *should* be doing it as a blogger. I've just unfollowed loads of the bloggers and blogging accounts on social media, because I realised I was being influenced by them, not to buy the latest skincare range or pumpkin spice latter drink, but about how my blog - my little space on the internet - should be. For every blogger dredging in the likes on Instagram for taking a photo at the exact same spot where ten bloggers took a photo yesterday (there's a certain west London cafe that I'll keep nameless that has bloggers literally queuing up on a daily basis), there's another blogger working away quietly behind the scenes, writing decent, meaningful, good quality blog posts, and taking unique photos. 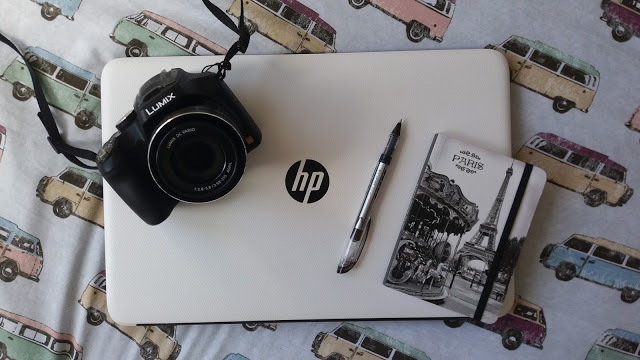 In writing this post, I've gone and done one of the things I hate most about the blogging 'industry' - blogging about blogging, but I just had to get it off my chest. Because that's what this blog is about - the things that thrill, bug, annoy and please me. You're welcome to stay for the ride. I'm not normally one for writing - or, really, thinking - about TV, but darn gosh, BBC's Bodyguard has really got to me. I mean really, haven't-been-able-to-think-of-anything-else-since-last-night's-episode got to me. 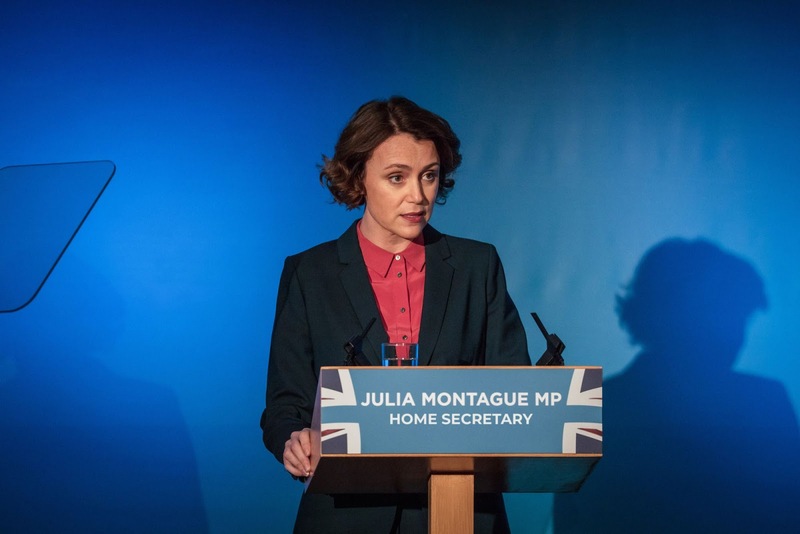 Is Julia Montague/Keeley Hawes really dead? The big question on everyone's tweets - did they really kill off one of the two main characters at the end of the third episode (revealing the death in the fourth episode)? My initial thought was no. 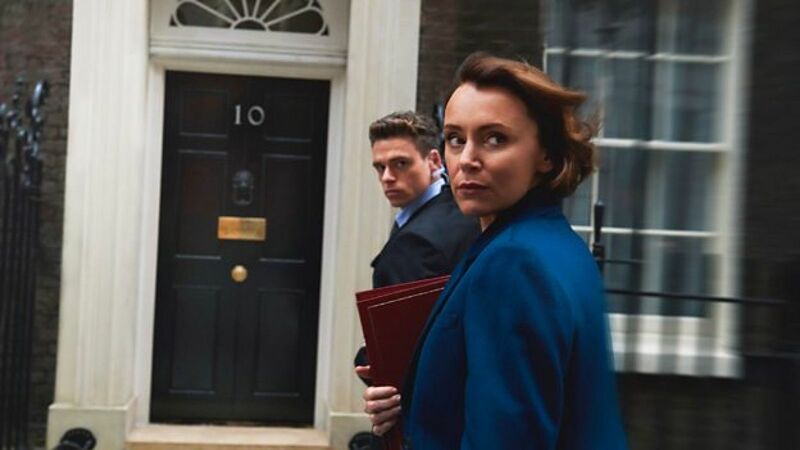 You don't hire a flawless actress like Keeley Hawes - Mrs Durrells, for goodness sake - for a BBC six parter, only to kill her off halfway through... or do you? 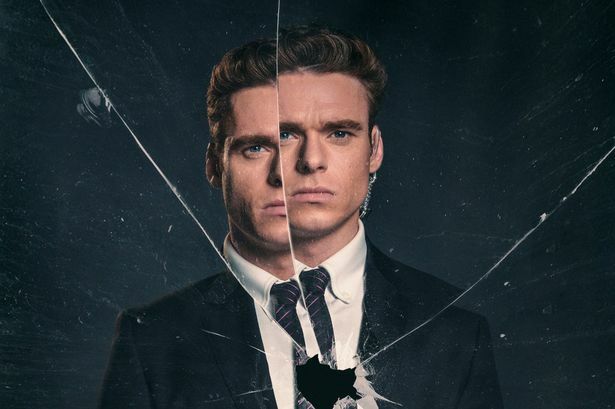 Apparently, Bodyguard writer Jed Mercurio has form for killing off key characters halfway through a series (I've not watched his other shows, so couldn't comment). And you know what? I salute that. TV dramas (plus films, books...) are so predictable these days. Everything sticks to the generic conventions that everything will be alright in the end, so it's refreshing to see that challenged, and the equilibrium thrown off. 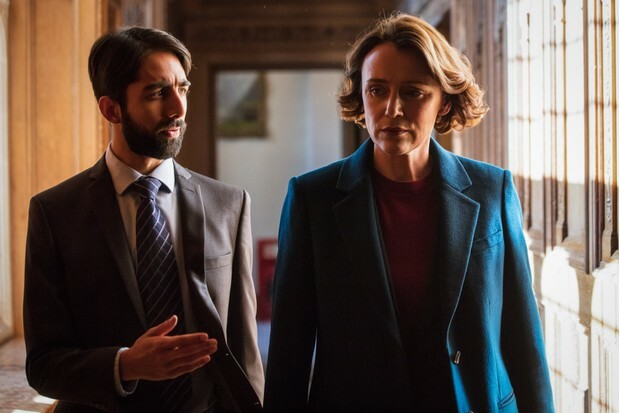 If she is dead, the chemistry between Julia and David/Dave that kept the series afloat in the first three episodes will be lacking for the last two, meaning something seriously juicy will have to replace it to keep the audience interested. Who put a blank bullet in David/Dave's gun? Literally no idea. Perhaps he did itself in a state of PTSD. Next. While we're on the subject of the blank bullets in David/Dave's gun, one theory doing the rounds is that a very-much-still-alive Julia had someone replace the bullets as she knew how upset David/Dave would be on hearing about her 'death'. Personally, I think this is a bit too slushy for a gritty show like this BUT - it's all a bit Shakespearean isn't it, with more than a hint of Romeo & Juliet about it. Julia Montague is very close to a combination of Juliet Capulet and Romeo Montague. Just sayin', folks. Honestly, I don't think he is. He clearly didn't know what was in the briefcase he was handed it by his colleague. Just a scapegoat for a larger plot. What was in the briefcase? I don't think there was a bomb in there when Tahir opened it for David/Dave. If the blast did come from the briefcase, someone tampered it between David/Dave confronting Tahir in the corridor, and Tahir walking on stage with it. Who was the woman who walked into the auditorium late? What did Kim see that made her run towards the stage? What's the deal with Tom Fenton? Tom Fenton was Julia's PPO until David/Dave takes over the role. We meet him in the first episode, at Julia and David/Dave's first encounter, when the latter suggests to Julia that she might use the underground entrance in future. He's still around in the third episode, as part of the security team in the auditorium shortly before the bomb goes off. and interviewed afterwards. So if he's still working in security, why was he taken off duty at Julia's PPO and replaced with David/Dave? Chanel, the former PA fired in episode one, who tried to sell dirt on Julia to the tabloids, before climbing into a car driven by a man who knew the rooftop shooter. Julia's ex-husband, Roger Penhaligon. He sees her ambition as a threat. Vicky/ Vicky's new boyfriend. Does the boyfriend exist? If so, did he have anything to do with replacing the bullets? Or has she made him up to cover for something else? Definitely something dodgy going on there. Anne Sampson. Power struggle between two leading ladies? Nah, not buying it. The man who linger behind David/Dave in the hospital, when he's waiting for news on Julia. Is David/Dave in on it all? Could it in fact be that David/Dave has been part of an elaborate plan to assassinate Julia Montague all along, working in cahoots with others - perhaps his disgruntled ex-Army pals, perhaps with others in government? What a coincidence that he, a serving security police officer, happened to be on that train in the first episode, the one in which he talked a suicide bomber out of detonating a bomb, thus landing the job as the Home Secretary's PPO? Could that have been an elaborate ploy to land him the job? Does he know Nadia after all? Was his relationship with Julia all an act on his part, an attempt to win her trust? The more I think about it, the more I believe this - after all, the show is named for this character. Who was he on the phone too shortly before the bomb went off? Gah, so many questions. So, my current thoughts: Julia is dead. David/Dave is involved, somehow, along with a couple of the other characters. I NEED to talk about this - tweet me if you have thoughts/opinions/theories. 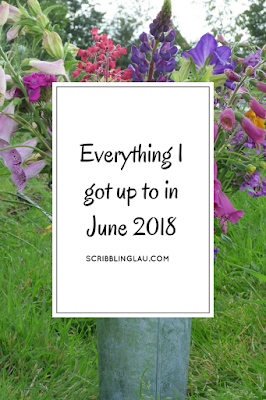 Catch up with my June round-up. I know I say this almost every month, but July's been a busy one - so much so that I'm writing this post at 5pm on 31 July on a train hurtling between Edinburgh and London in a desperate bid to publish it on time. In reality, I'm going to get home and crawl into bed, leaving all thoughts of blogging (and unpacking) behind. Whenever you're reading this, here's what I got up to in July 2018. Like most of Instagram, I found myself knee-deep in lavender in July. I first visited Castle Farm last summer, when I'd just moved back to Kent, but this time I was filming a short film for work. They've added a 'lavender bench' this year, no doubt to please the Instagram hoards. and I was filming the day after This Morning had been there - although our video went out first (#scoop). 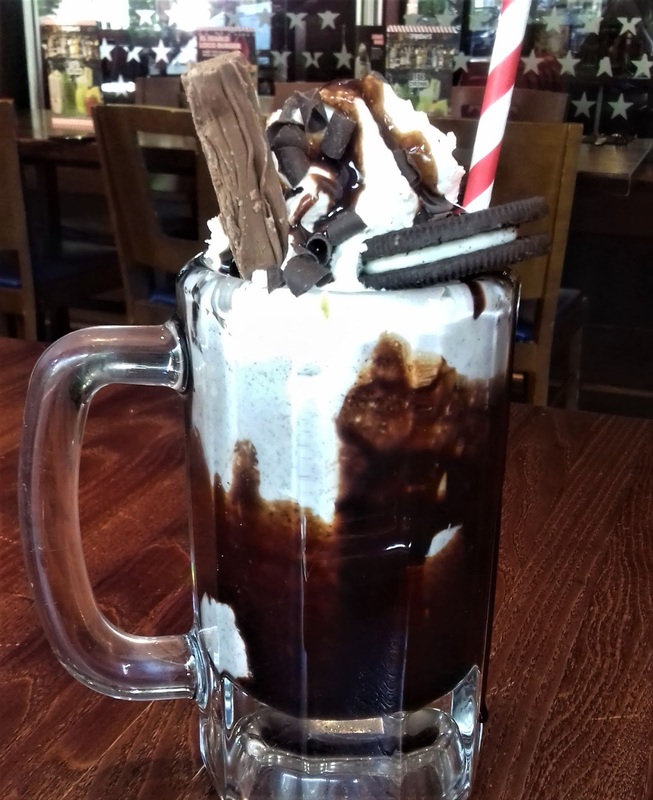 As I'm writing this, I can't believe it's only a couple of weeks since Emma and I went on a huge shopping trip at Lakeside, followed by lunch at TGI Fridays. It still surprises me when people say they've never been there - not in a judgemental way, because there are plenty of restaurants I have no interest in but, like, what did you do with you childhood? The shakes aren't quite as good as they used to be (remember when they were thick enough to render straws ineffective? ), but it's still my go-to for a decent serving of comfort food. I had myself a little adventure closer to home in July in the form of a bat trip. Tonbridge River Trips run occasional bat-watching tours, taking a boat out on the River Medway at dusk with a wildlife expert on board. Spending my Monday night with a boatload of strangers in the pitch black was slightly surreal, but if you're looking for something unusual to do in Tonbridge, it's worth doing. 3) If you go to Edinburgh in late July, but leave before the Festival actually starts, people think you're really weird. My trip to Edinburgh followed very closely behind a long weekend in Cambridge with family, which contributed to my aim to visit a new place each month. Cambridge is a beautiful city, but we found there wasn't as much to do in the city centre as we'd hoped. Worth visiting, but perhaps for a day trip rather than a whole weekend. Back in London, the pagoda at Kew reopened to the public this month, and I was sent along to cover it. The stairs are a challenge, but it's worth the climb to the top for those views in all directions of London. Further skyline views came in the form of a launch party for the new bar and restaurant at the top of the Gherkin - that's another London skyscraper ticked off the list. Just the two afternoon teas this month (sorry lads, haven't had time to review them on this blog yet, but follow the links for my reviews elsewhere). The Franklin Hotel very kindly invited me to try its Frida Kahlo themed afternoon tea, tying in with the current exhibition at the V&A. The octopus sandwiches are an acquired taste, but beyond that, the chef has done an excellent job of marrying a traditional English afternoon tea with Mexican flavours. This being 2018 London, that wasn't even the most floral part of my month. I ate the most delicious pancakes among fake flowers and a giant purple teddy bear at Drunch, a cafe-restaurant just off Oxford Street. I walked past it a few months ago, coincidentally just after it had been refurbished, and knew the floral frontage would make it popular. I finally got in there to film this month, and haven't been able to stop thinking about those pancakes since. It's starting to sound like I spent the whole month eating (and I haven't even mentioned the restaurants I ate up in Edinburgh and Cambridge), but there's more. Dinner in the Sky was a thrilling experience, dining up above London on a table suspended from a crane. The food was delicious, but the organisation of the event was appalling, rendering it unworthy of the steep ticket price in my opinion. On a happier note, Claw in Carnaby is dishing up delicious comfort food in Carnaby, and I had a bit of a fangirl moment when I dined with famous party chef Dominique Ansel at his eponymous Belgravia bakery. Again, I know I say this every month, but I'm really hoping August is a quiet one. After the travel and the expense of July, I could do with a bit of downtime. My diary is currently looking beautifully empty for the month... see you this time next month to find out if it stays that way. Catch up with my May round-up. June opened with a trip to BlogCon, a blogging conference held on the London/Essex border. It's the first time I've been to something like that, so I was a bit nervous - no need though, everyone was lovely. I managed to pick up some tips on using Pinterest, and have been trying to get to grips with it for my blog. You'll find me here, so please give me a follow and forgive me any Pinterest faux pas I may make - this old woman's struggling to get her head round the new-fangled social networks the blogging kidz are using these days. Another highlight of BlogCon was basking in the Instagram wisdom of @hellomissjordan - I *may* be working on a not-entirely-serious blog post off the back of that, so watch this space. I finally managed to get a copy of Emma Gannon's new book, The Multi-Hyphen Method. I've only just started reading it, but having seen her speak at two recent Waterstones events, I have high hopes. I'm seriously in need of new book recommendations from similar cool women - think Dolly Alderton and Daisy Buchanan. Any tips, send them my way. Don't you love it when a plan comes together? 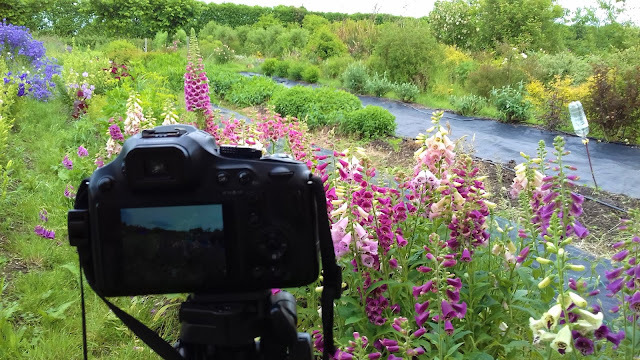 For two or three years, I've wanted to go to a flower picking day at Blooming Green, a PYO flower farm in Kent, but they always fall on a Friday which just isn't doable for a #BloggerWhoWorks. This year at work, we've started dabbling our toes in the waters outside London, so I seized the opportunity, and headed down there to film. You can see the video here, but while I was there, I took a few snaps for my own Instagram account. Whatdya think of my attempt at floristry? June was broken up nicely with a trip to Clacton on Father's Day weekend. We headed out to Tiptree on the Saturday to visit the Jam Factory, and I converted my dad into an afternoon tea fan. Back in London, I found myself exploring a secret Morocccan garden, hidden away behind a chocolate shop in the rather pretty streets of Belgravia. It reminded me of why I started this blog, and why I got into journalism; to share the secret places I find on my travels. It's June, which means it's that time of year again - Zoo Nights at London Zoo. The zoo has always been a favourite place of mine, and I especially love seeing it at dusk, when some of the animals are more lively. Plus, the street food stalls serve up some pretty tasty nosh. Just two afternoon teas this month, which is pretty restrained by my standards. The first was the misleadingly named Tea Total afternoon tea at the W London (wouldn't recommend - full review here). The second was that more traditional affair at the Tiptree Tearooms in Essex. My hunt for London's best buffalo chicken continued at Boondocks, a deep American south restaurant in Old Street. 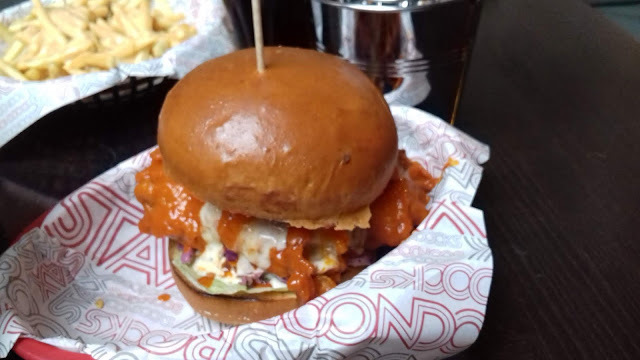 It's the first time a buffalo chicken burger has *almost* got the better of me, the buffalo sauce so vinegary I was almost crying. Not saying I didn't like it though. Might have to go back for another taste. SUCH a busy month coming up, with weekend trips to Winchester, Cambridge and Edinburgh planned, as well as few other bits and pieces. If you've got any recommendations for things to see, do and eat in Cambridge or Edinburgh, let me know. As always, you can keep up with my adventures on Instagram and Twitter - it doesn't look like I'll have much time for blogging in July. Copyright Laura Reynolds. Simple theme. Powered by Blogger.